#Every #God #Morning #Thank #Up #Wake #Wake Up #Wake Up! So I went in front of the judge, and I had my St. Jude prayer book in my pocket and my St. Jude medal. And I'm standing there and that judge said I was found guilty, so he sentenced me to what the law prescribed: one to 14 years. 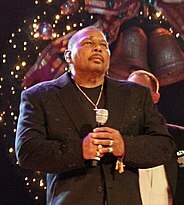 So now I have a collection of poetry by Aaron Neville and I give it to people I want to share it with. I'd like to publish it someday. The extras are a nice bonus feature, but the main incentive is the musical experience. My friends and I were wild and we liked to joy-ride. I feel it was just a few years ago I was running around in short pants. It's a 360-degree sound experience. Like you're in the middle of the band. A lot of people have the technology to play the format, so why not put it out there. It sounds great. Don't be ashamed to let your conscience be your guide. I owe it all to Jesus. When you were a kid, a day was a long time and a year was a long time. I think things happened the way they did for a reason.